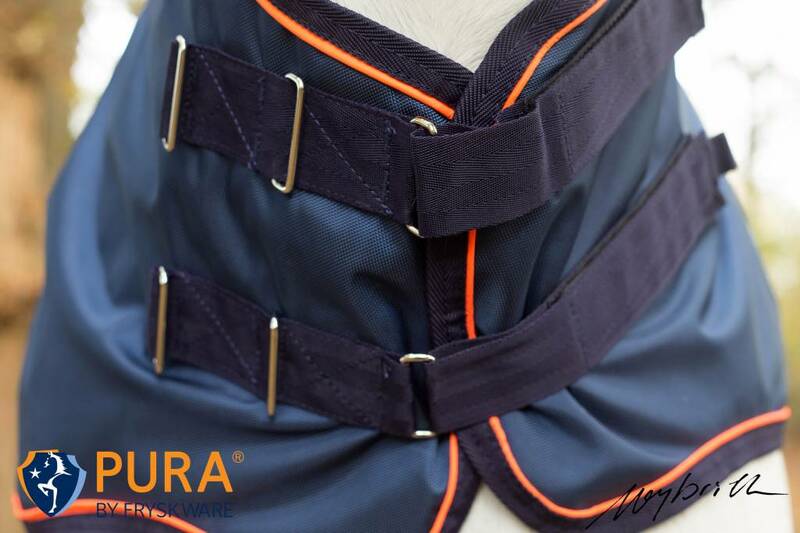 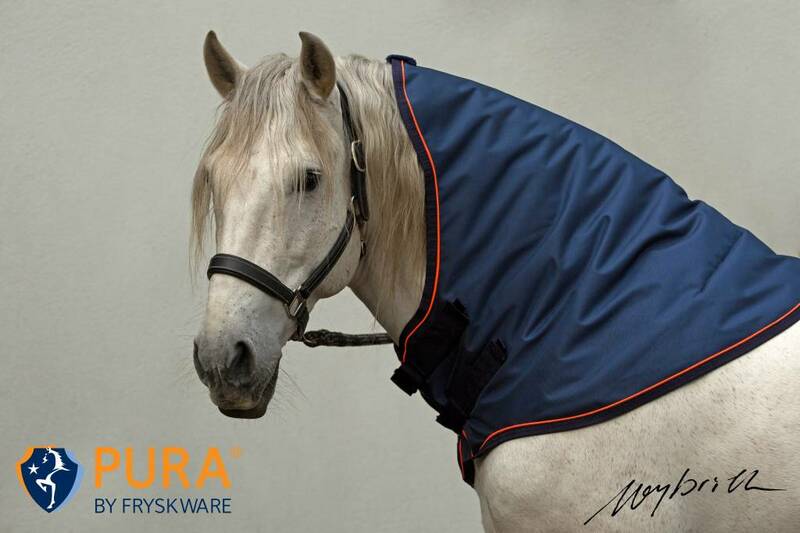 This is the ultimate outdoor neck cover for all seasons, especially for baroque horses and breeds with a wide front. 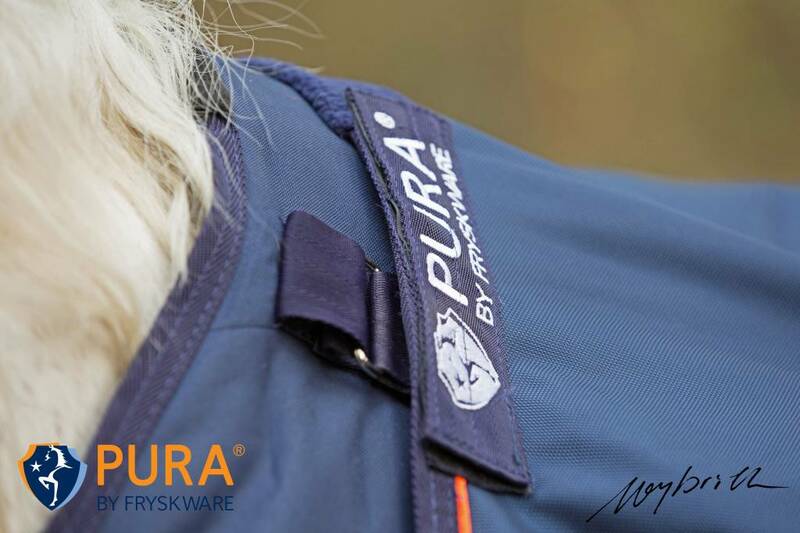 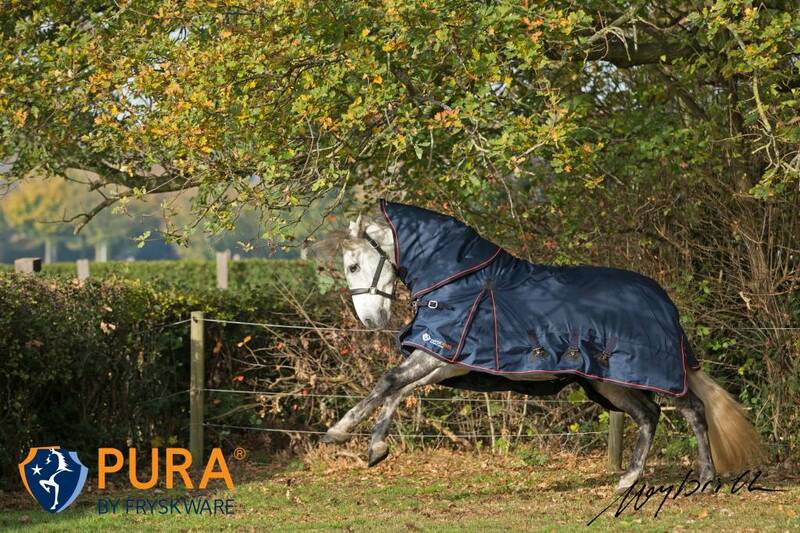 The Fryskware PURA Turnout Neck Cover is wind- and water proof, has maximum breathability and is made of cast-iron ballistic nylon outdoor fabric in 1680D Oxford with a smooth antibacterial lining in 210D with a temperature-regulating fibrefill filling of 50gr (rain/winter cover). 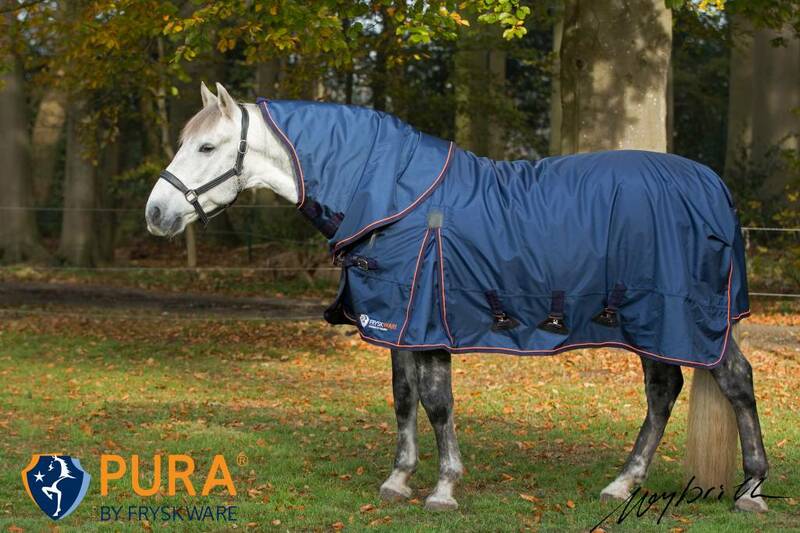 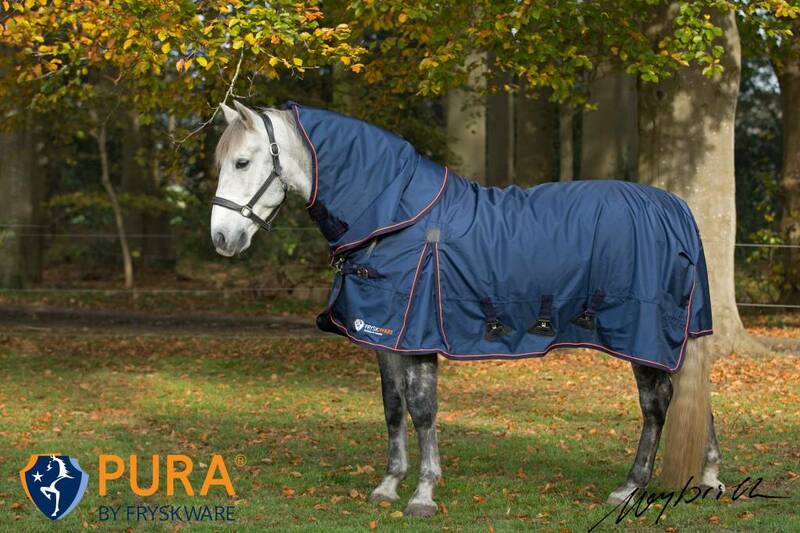 The Fryskware PURA Turnout Combo (outdoor cover inclusive of neck part) can be combined with the Fryskware PURA Liner of 100 gr (Fryskware PURA Duo Combo) creating a warm winter cover with protective neck part of 150 or 250 gr. 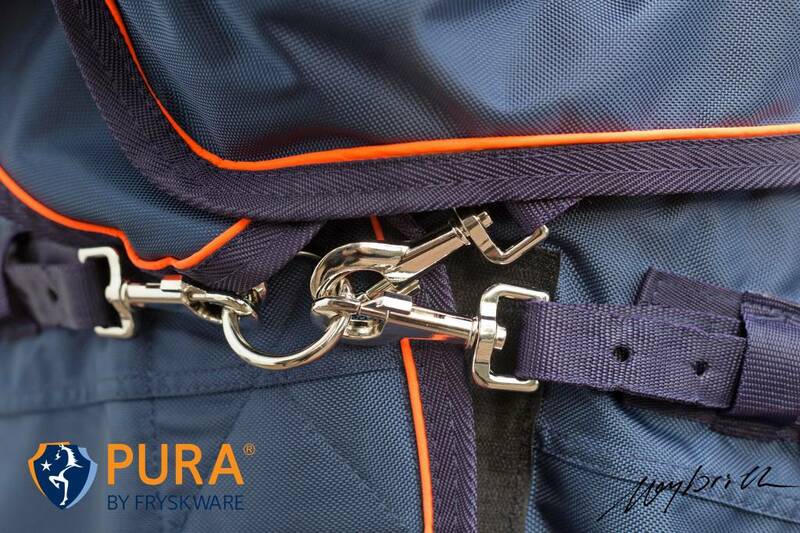 The lining of the Fryskware Neck Cover is made according to the Stay dry, stay cool, stay warmprinciple (antibacterial, breathing Teflon coating). 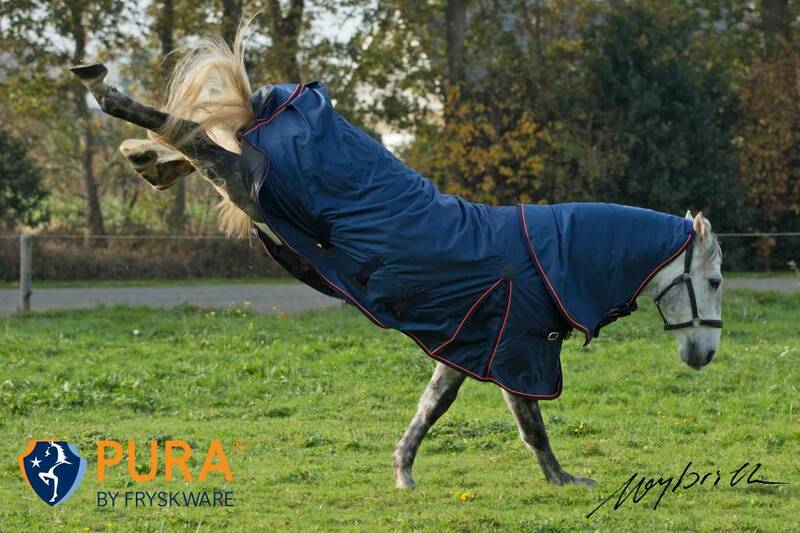 You can lay it on a slightly sweaty horse. 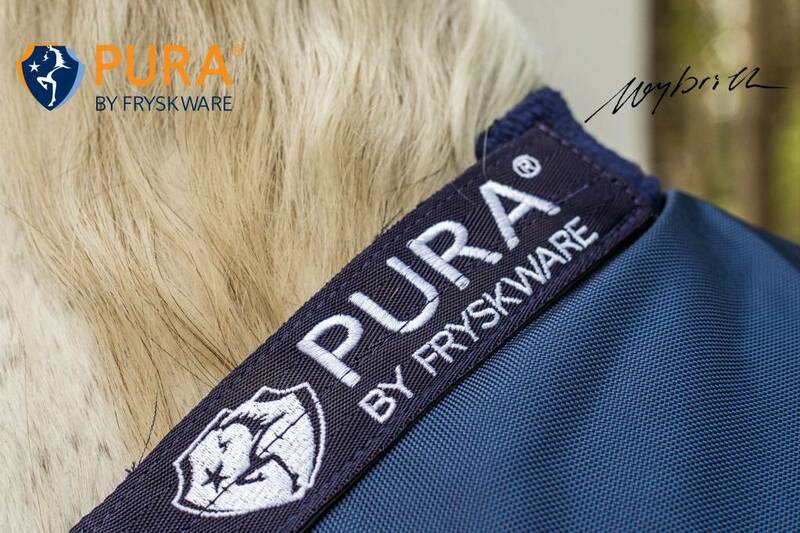 The lining of the Fryskware PURA Neck Coveris made according to the Stay silky, stay shiny, stay soundlyprinciple that protects the manes, doesn’t absorb any hairs and ensures a shiny coat.